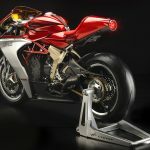 Built on the F3 800 platform, the MV Agusta Superveloce concept was unveiled at EICMA 2018 as a precursor to a model that will be produced in the second half of 2019. 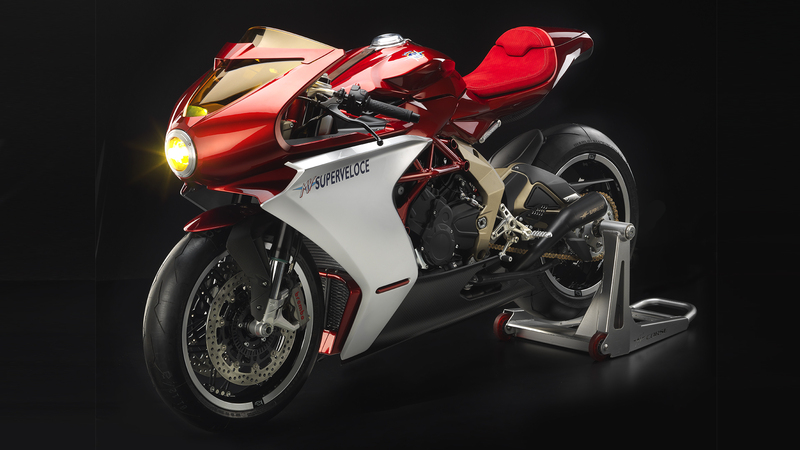 “Due to its very unique technical and aesthetic characteristics, the Superveloce 800 is destined to become one of the most eclectic and original models in the company’s history.” Read as expensive and limited edition. 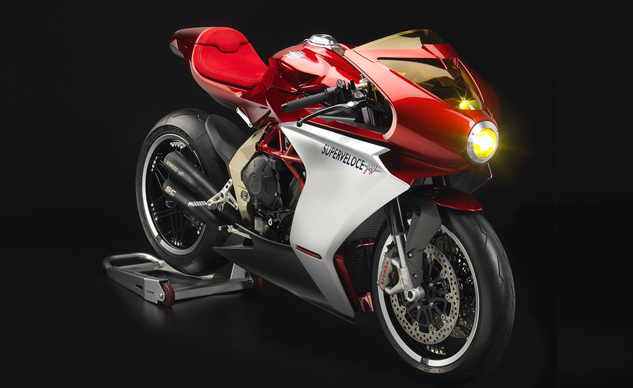 The lines of the Superveloce 800 are a modern interpretation of the iconic lines formed by MV Agusta heritage, the fusion of vintage and contemporary. 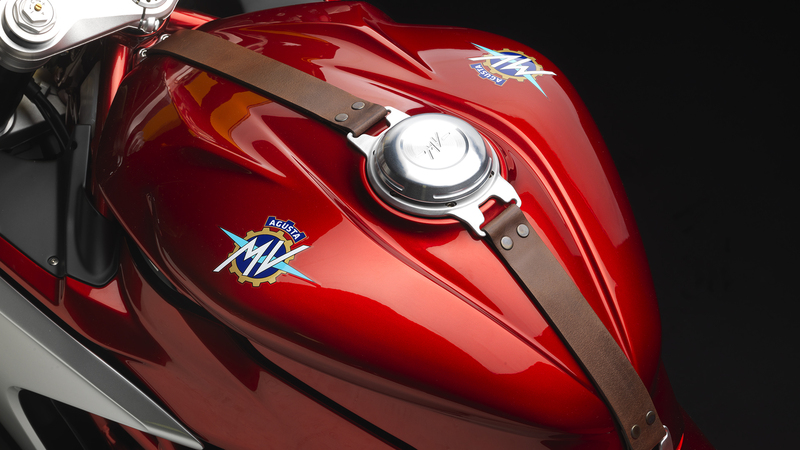 There’s no denying the Superveloce is a stunning design exercise, truly worthy of the marque’s slogan: Motorcycle art. 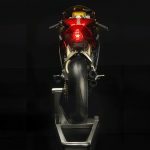 The red and silver carbon fiber fairings, yellow windscreen, and round headlamp harken back to the design ethos of the 1970s. The LED headlamp and taillight hint at the modernity underneath the Superveloce’s elegant exterior. 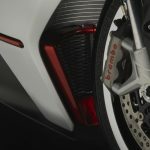 The minimalistic tail fairing rests on a new sub-frame allowing the user to transform the bike from a single seat to a dual seat version. 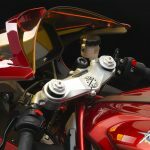 The chassis architecture, engine, and braking system are directly derived from the MV Agusta F3 800, with some slight changes that enhance the performance of the new Superveloce 800. 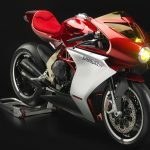 MV Agusta says the engine has been remapped in the Superveloce to enhance the power characteristics without excluding an “eventual increase in maximum power”. 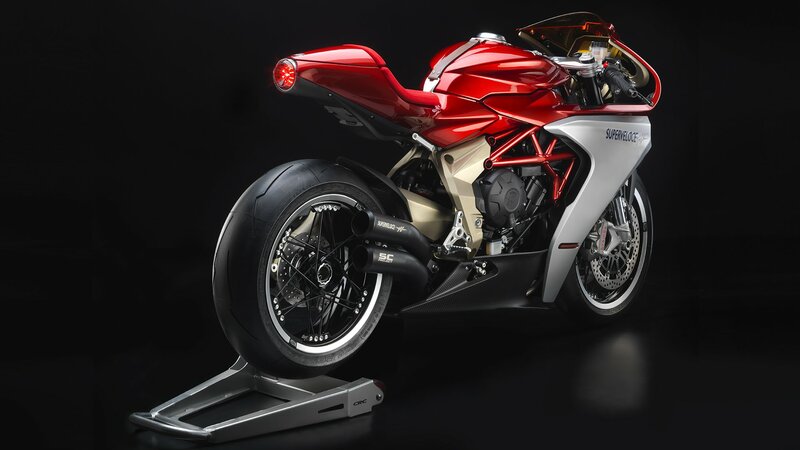 The exhaust system was redesigned based on the classic 3-into-1-into-3 layout, with the silencers placed asymmetrically: two are on the right side and one on the left, reminiscent of bikes throughout MV Agusta’s racing history. 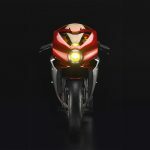 The riding position is that of the F3, so expect a sporty ride. 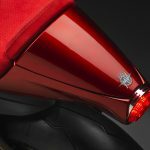 Adjustable footpegs are included for fine tuning your ride position. A TFT display is front and center with MV’s latest technology and host of features found on their current-gen sportbikes. The fuel cap was specifically designed to integrate a characteristic leather strap that secures the fuel tank to the frame at the front and back. 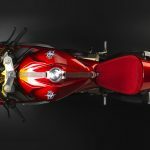 The riding position has been adapted directly from the F3 800 supersport bike, including the seat height, handlebars and footpegs, with the sole purpose of generating maximum riding efficiency. 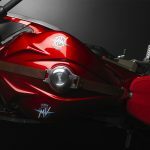 The adjustable footpegs allow the rider to customize their position, guaranteeing a perfect rider-vehicle fit. 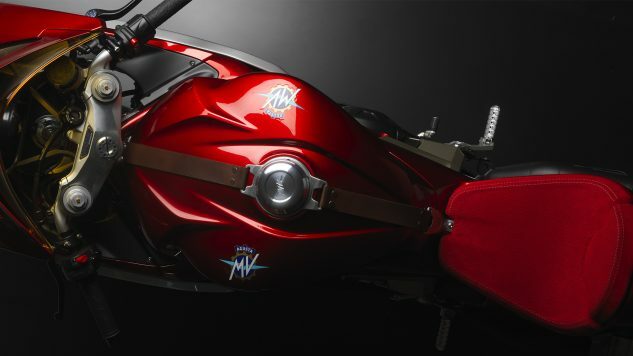 The user-friendly handlebar and foot controls integrate perfectly with the clarity of the new TFT dashboard with dedicated graphics and a host of new features. 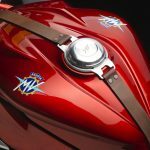 The fuel tank cap was specifically designed as a nod back to a time when a characteristic leather strap was used to secure the fuel tank to the frame at the front and back.